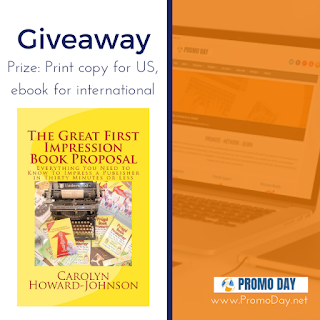 Prizes for this giveaway are donated by Carolyn Howard Johnson. During the Promo Day event on Saturday 11th May 2019, 6 different winners will get to pick their choice of books (or ebooks!). That way the winners get the one most likely to help them. 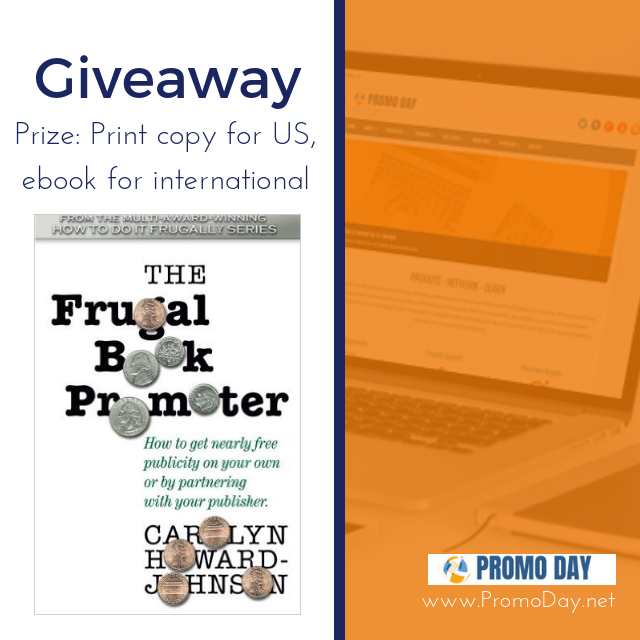 The Frugal Book Promoter and The Frugal Editor and Carolyn’s newest, How to Get Great Book Reviews Frugally and Ethically! 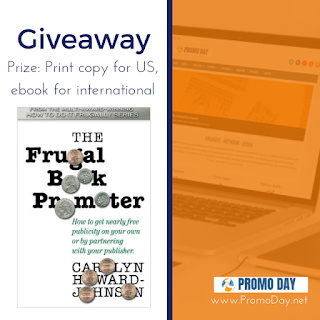 For only a few cents a day The Frugal Book Promoterassures your book the best possible start in life. Full of nitty-gritty how-tos for getting nearly-free publicity, Carolyn Howard-Johnson, an instructor for UCLA’s Writers’ Program and former publicist and journalist, shares her professional experience as well as practical tips gleaned from the successes of her own book campaigns. 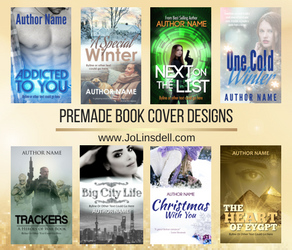 She tells authors how to do what their publishers can’t or won’t and why authors can often do their own promotion better than a PR professional. The first edition is a multi award winner and the second edition is a USA Book News winner. It is updated and expanded by more than 100 pages. Awards: Winner USA Book News, Reader Views Literary Award, Next Generation Marketing Award. The e-book is a Next Generation Indie Book Award finalist and was given an Honorable Mention by Dan Poynter's Global EBook Award, 2014. How to Get Great Book Reviews Frugally and Ethically is the culmination of a nearly two decades Carolyn Howard-Johnson spent helping writers avoid pitfalls, misconceptions, and out-and-out scams perpetrated on unsuspecting authors . . . and helping them reach their dreams of great reviews, great book tours, and great launches. 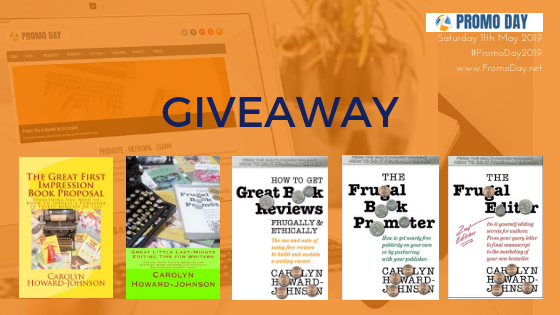 It turns out that How to Get Great Book Reviews is the essence for a successful marketing campaign that includes all those things and—more importantly—for building the readership necessary for a prosperous writing career. 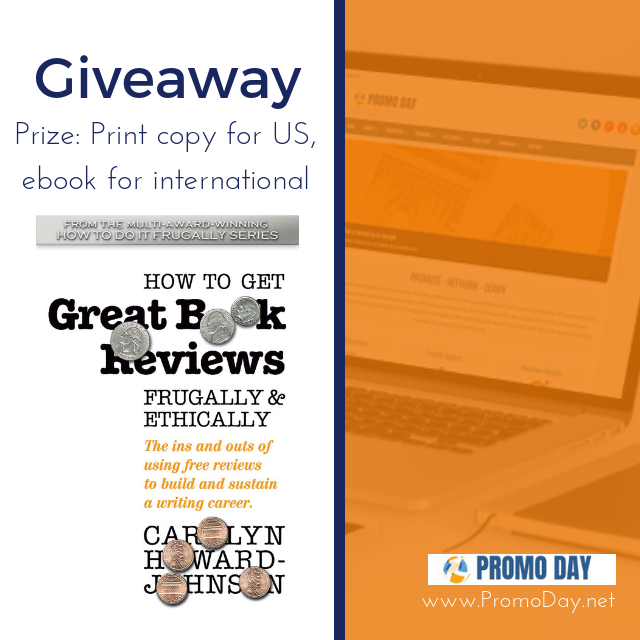 “Getting Great Book Reviewsis another HowToDoItFrugally winner! Both new authors and seasoned veterans will get a lot out of this book! I put several of Carolyn Howard-Johnson’s tips into practice while I was reading and with great results. 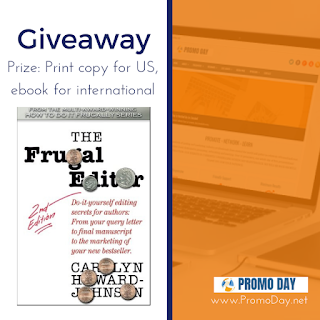 Carolyn Howard-Johnson picks the trip-you-up words that her clients struggle with and puts them in a booklet light enough and small enough to be used as an inexpensive greeting card for writers that the recipient can tuck into a glove compartment or purse to keep their homonym skills fresh. 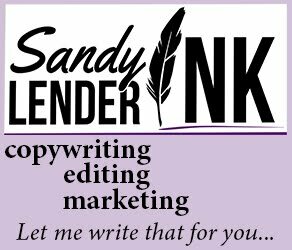 It is also free for writers who subscribe to her SharingwithWriters newsletter at http://howtodoitfrugally.com/newsleetter_copies.htm. 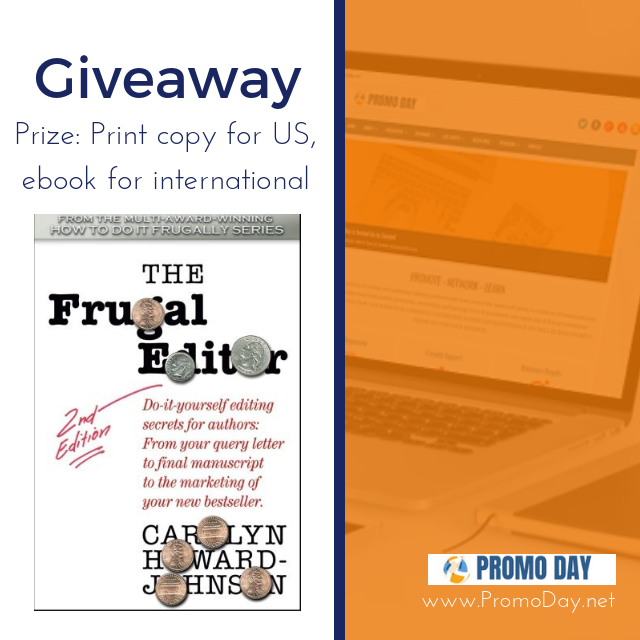 This little booklet is carry-with-you protection against grammar gremlins and the frugal price of $6.95 includes a free e-book using Kindle’s Matchbook program. The perfect learning experience for those who want to learn how to wow an editor in no time flat with only $6.95 out-of-pocket and 30 minutes out of a busy schedule. 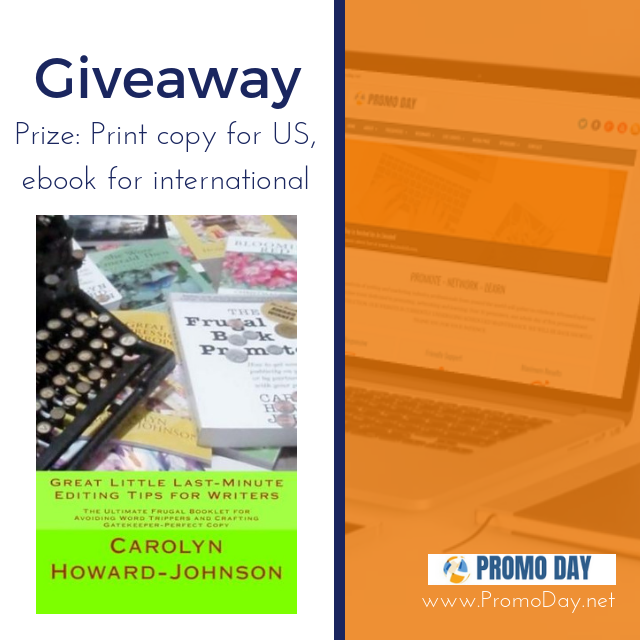 This booklet is the result of multi award-winning author Carolyn Howard-Johnson’s extensive work with clients who hate writing book proposals and hate learning how to write them even more. She found herself coaching them through the process rather than doing it for them, for who could possibly recreate the passion an author feels for his or her own book better than the author? In doing so, she found she had written a booklet—not a tome—that took her clients only about thirty minutes to absorb. Voila! 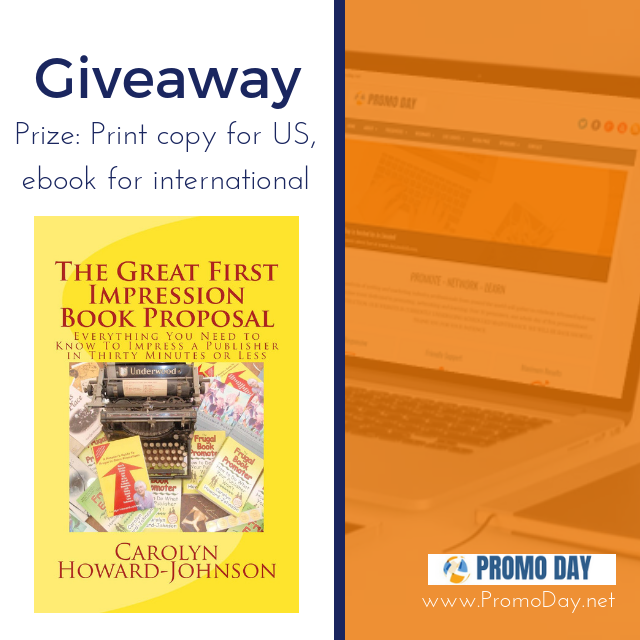 The Great First Impression Book Proposal was born. This little booklet—discounted on Amazon—is part of Kindle’s Matchbook program. When you buy the paperback on Amazon, you get a free e-copy, too! Maybe one could be a gift for a writing friend. ~ Georgia Jones, Editor in Chief, LadybugPress and NewVoices, Inc. This little booklet, discounted by Amazon, is part of Kindle’s Matchbook program, too. When you buy the paperback on Amazon, you get a free e-copy! Maybe one could be a gift for a writing friend.